Do you remember what happens when a vinyl record gets scratched? It gets stuck and plays a short phrase over and over and over until the needle gets a tiny push. I feel like I'm that scratched record. Don't get me wrong. I'm not exactly in a rut. I'm being productive and having a good time. But I really should stop and move on to other projects that were started ahead of this one. What should I do to give myself that little push to get me working on my other projects? 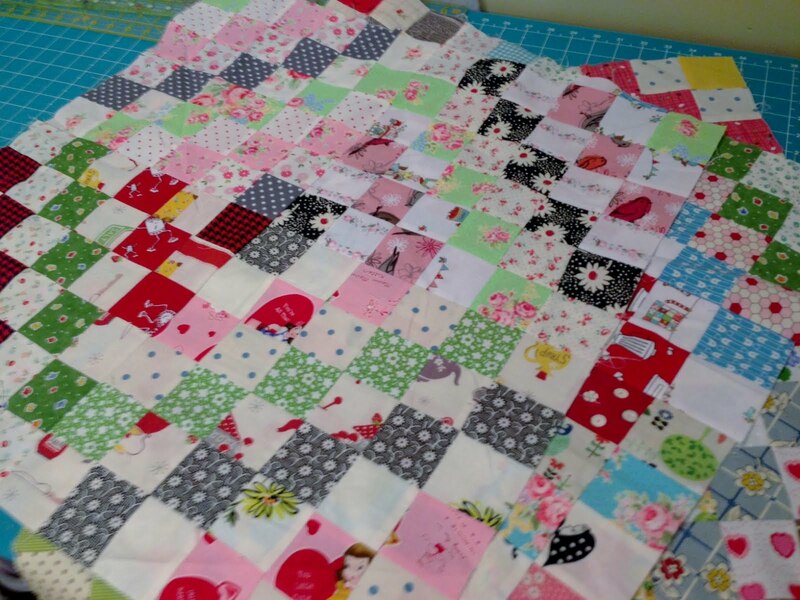 I'll soon have enough blocks for 2 Scrappy Trip Along quilts at this rate.. Or more if I can't get off that skip and stop cutting strips and stitching them together. This has happened to me before with other things. I am known to excess (8 children for instance). 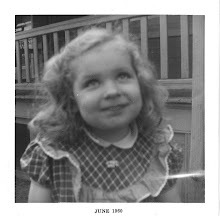 So forgive me while my blog seems a bit of a rerun. It has to end sometime. Right? I know the feeling. It is addicting. I think part of it is the colors are so bright and its so easy! Good luck. they're so pretty, but . . . two scrappy trip along quilts is definitely too many. i could help by taking one of them off your hands. do you need my address?? It's addictive, isn't it? I just started one, but I'm using a jelly roll. I've even put aside my EPP projects for this. That's how much I love it. Don't chastise yourself, Nanette. Are you smiling? Is your heart singing? Relax and enjoy, my dear sweet friend. You'll know when it's time to stop. Until then....have fun! Oh, Gosh! I know what you mean. I'm hooked on these blocks too. I want to do other things. I really do, but every time I come across another fat quarter I haven't used yet, I want to make another block. Is two Scrappy Trips too many? Sounds about right to me. Keep going - they're beautiful! I like your rut better than mine. I started Scrappy Trips last year, and then they got put away while I work on other things. I need to get back in the groove and finishing it! Your blocks are so cute! They are pretty! I'll be joining you soon Hope I'm as productive and prolific as you. Ok, that 8 children excess comment made me burst out laughing. You're too funny. Can't wait to see your scrappy trips put together -- sometimes, when you're having so much fun, you just have to run with it! I'm still resisting, knowing I'll give in later. I'm even planning on making two. Or three. Camping quilts, that's what they'll be. Don't mind your scratched record at all! 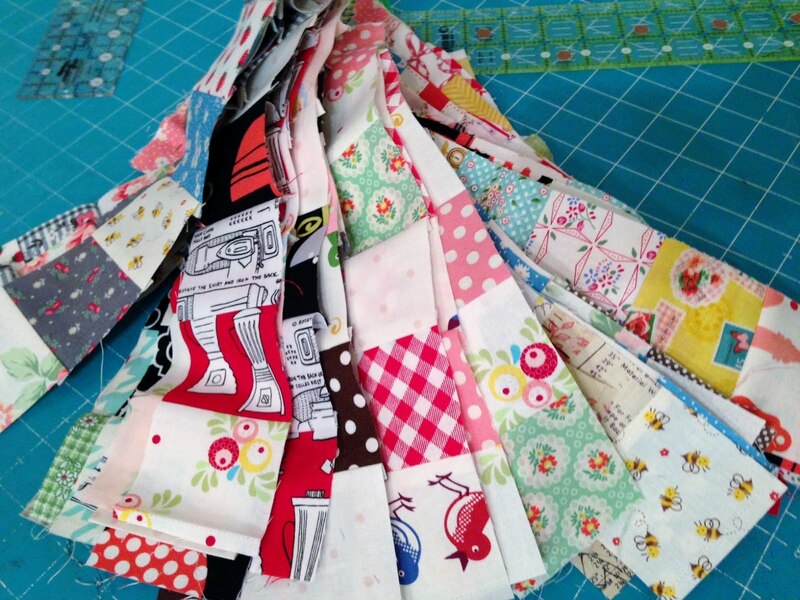 I can imagine how therapeutic it is to play with scraps and make a useful and pretty quilt. 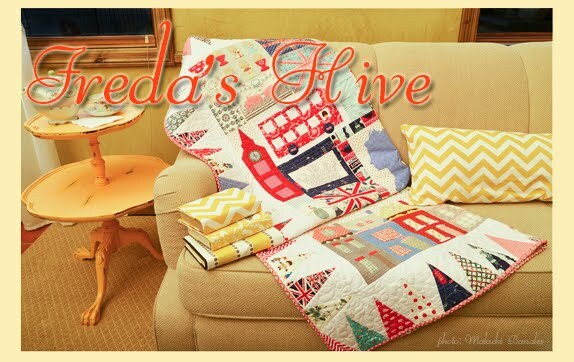 Your fabrics are so sweet and cheerful! Lovely Nanette - on my list of too do's! Pretty blocks! I have a small stack of strips but other than that still haven't started. My UFOs aren't letting me. Soon! There is something about making these blocks that is si satisfying! I am getting ready to make another and the first one isn't even finished! I think if we have to have problems, this is a good one to have. I haven't tried this pattern yet but it's on my horizon. Yours are beautiful. 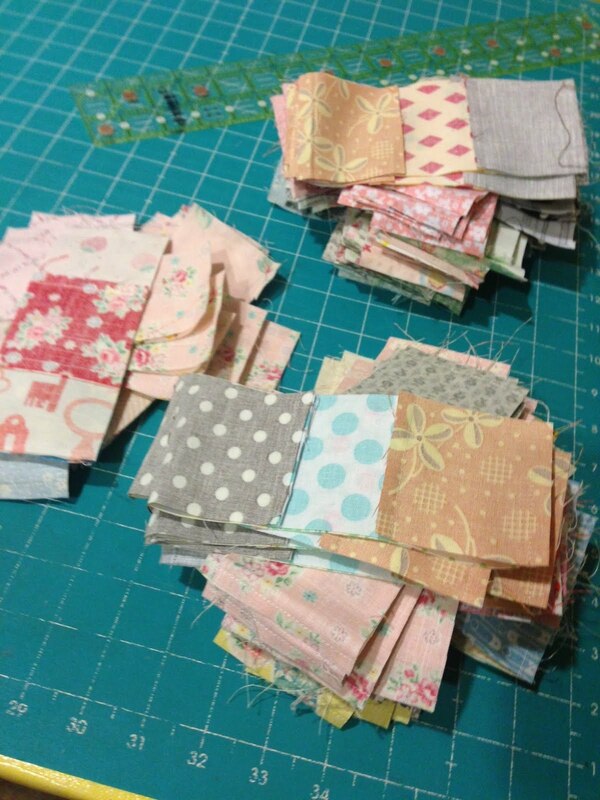 I havecut strips cut out for this quilt, knowing I should finish the 2 I have going first lol! your blocks are looking great! Ha ha! I liked your description of the scratch in the record :). Your scrappy trip along looks wonderful! I wish I could make one but I've got two blessing outfits to make. Happy sewing! But the fabrics are so beautiful, how can you stop? I don't see a thing in the world wrong with what you're doing. :) Have fun on the trip(s). I think there is a certain "anointing" for doing things sometimes and it's usually best just to go with it while it lasts. I'm stuck too :o) I've got 2 more Scrappy Trips started...these blocks are so addictive. I know how you feel. I just bought fabrics for the scrappy trip blocks...how silly is that...I'm supposed to be using my scraps, not adding to it because something will look good in this quilt! I so understand!!! Lovely fabric! !